As part of the Carbon War Room’s “Ten Island Challenge”, a campaign to help island communities make the switch from fossil fuels to clean energy, Sir Richard Branson has transformed his private island paradise into a test site which will show the potential of renewable energy sources. Some six months after Branson announced the initial call for proposals, work has begun to reduce the island’s carbon output by up to 90%. US-based NRG Energy has been awarded the contract to develop a more environmentally-friendly micro-grid for the resort which will see the lion’s share of the island’s output generated by solar, wind and energy storage technologies. 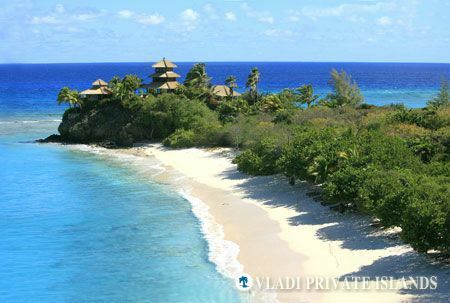 Both Branson and NRG CEO David Crane hope that the demonstration project on Necker Island will inspire other island nations of the Caribbean into action, eliminating their dependence on fossil fuels and, ultimately, creating an altogether more sustainable future for island communities on an international level. Eighty per cent of electricity used in the Caribbean is produced via either diesel generators or other fossil fuels, damaging the environment and leaving a considerable impact on the countries’ finances, too. Indeed, if Branson’s plan can truly be put into practice on a larger scale, it is estimated that an incredible USD 88 million could be shaved of the Caribbean’s energy budget every year. So far, the likes of the BVI, Colombia, Dominica, St. Kitts and Nevis, St. Lucia and the Turks and Caicos have all signed up to the Carbon War Room’s Ten Island Challenge in the hope of finding a long-term alternative to fossil fuels. If all goes well, the plan will be extended to other difficult-to-access areas and island communities, unlocking an economical and environmental potential like never before.